Criminals and their crimes are often the most interesting stories, but I am fascinated by some of the leaders of law enforcement, especially in the South, during the 1960’s. This was a time when society was facing fast-paced change regarding race relations and how law enforcement was expected to dealt with this change. Of course, Bull Conner, Birmingham, Alabama’s police commissioner, became the most infamous, when his use of police dogs and fire hoses to break up civil rights demonstrations were captured by news camera and broadcast for all the world to see. But there are others. Herman Short, Houston’s police chief during that era, was another of those larger than life characters. Described by some as a racist and others as a highly respected crime fighting hero; he probably would not have adopted either of those descriptions as his own. He was born in West Virginia in 1918. In the 1920’s his family moved to Houston, where his father worked for the Hughes Tool Company. 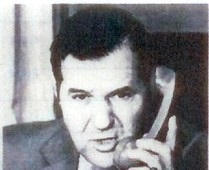 After becoming a Houston police officer and being promoted up the ranks, Short was appointed to Chief of Police in 1964, by then mayor, Louie Welch. “….. He (Short) was a product of the thirties. Herman had many good qualities and many qualities that had been bypassed by society. The biggest problem was that society placed the police department at the forefront of enforcing Jim Crow laws. There is little, if any, dispute, that Short was a law and order cop who did not engage in public relations. The news media, as well as the officers who worked for him, recognized the “no nonsense” approach he took to running the department. This attitude was evident when media representatives interviewed him. Some did all they could to avoid such encounters. Soon, police took over the building, killing one of the leaders, Carl Hampton, in the process. Officers and the public saw that Short was a man of his word. During George Wallace’s run for the Presidency, it was whispered that Short might be in line to replace J. Edgar Hoover as the Director of the F.B.I. Of course, that never happened, but as Caldwell pointed out, his relationship with Wallace reinforced the opinion of some that he was a racist. Within the ranks of the police department, he was respected, if not always loved. His management style was dictatorial and it was abundantly clear that he ran the department. He won praise and loyalty from officers when he would publicly defend their actions, which he did often. On one occasion, when a minority-owned newspaper published an article calling an officer a “mad dog killer”, it was rumored that Short called the officer to his office and encouraged him to file suit against the newspaper, even suggesting an attorney who would take the case. Was Herman Short a hero or a racist? We know that he was a man charged with running one of the largest U.S. police departments at a time when society’s values and racial standards were changing rapidly. To some he was a real “John Wayne” like figure, strong, silent, and intimidating. To others, Short was little better than former Klansman and Birmingham Police Commissioner, Bull Conner. In reality he was just a man with traditional values, running a big city police department during an era when a change in those traditional values was inevitable. I know of no one more qualified to write about the Houston Police Dept. and it's history than Larry Watts. I worked at HPD during Herman Shorts administration. Some say he was the best chief the HPD ever had. Thank you, Breck. A note to all. I have received other complimentary comments about this story, however, they were submitted anonymously. I have a policy of posting comments only from identified viewers. Thanks to all. I remember Chief Short and Larry Watts wrote a really fair representation of the man. Chief Short was no nonsense but almost all of the Officers who worked for him at the time thought very highly of Chief Short and he had the absolute respect of the Houston Police Department. The Sixties were touch, challenging and, sometimes, unforgiving for men like Herman Short. Navigating the dramatic changes underway in that era was difficult for anyone, but especially for someone whose idea of justice was defined along a narrow line. I did read a humorous story on the police union website about how Short once stopped a speeding motorist and warned him about going too fast. He happened to be in his civilian clothes at the time, and the motorist asked him who he was. Short reportedly answered "I'm assigned to the chief's office." When the speeder asked him what he did there, he answered, "I'm the chief of police." Interesting guy. and I towed an illegally parked car from in front of this building when several of the men in the photo were there and less than a week before Hampton was shot. Carl Hampton was not killed at the PPII headquarters at 2800 Dowling. He was killed on a stage at night in Emancipation Park when he gave the order to burn 3rd Ward. He was shot by Bo Norris from the church about a block away. Ovide Duncantell was also on that stage and I believe he was wounded in the heel. It was at this time that virtually the entire police force was mobilized into 3rd Ward; we were on standby for this eventuality. The riots never materialized due to our swift and overwhelming response. Carl Hampton was the only casualty and the PP2 (a front for the Black Panthers) headquarters was the only building that burned. Our handling of this situation (as directed by Herman Short) saved Houston from LA style riots. 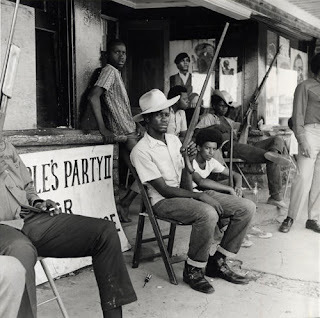 The Black Panthers soon left town – they tried to re-organize in the Montrose area but their meetings were continually disrupted. The Black Panthers left Houston for a time and Houston was spared the problems that plagued other large cities during that period. Herman Short was not a racist – he was a hero. It hurt me deeply when his wife was killed at her mail box by a drunk driver. We were under strict orders coming down from Short to handle this suspect properly despite our feelings and loyalty. I was on the 3rd floor when that suspect was brought in for testing and booking. DID NOT KNOW HIS WIFE WAS KILLED BY DRUNK DRIVER – JUSTICE SERVED.